A new trend is called “forest bathing”, and on March 21, (also Human Rights Day in our country), it’s International Day of the Forests too. ‘Forest bathing’ does not entail a tiring hike through a huge plantation, and nor does it mean standing naked under a tree when it is raining, to save shower water… It means a little bit of quiet “me-time” in the company of green giants, to appreciate their huge value to our planet, and our mental health in general – being in the shade and protection of trees does seem to soothe anxiety! It is therefore important that we do not allow trees to be chopped down right, left, and centre. It’s equally important that we take time to choose the appropriate tree for different situations, (your local GCA garden centre will know!) and to support all tree-planting initiatives in our communities. Trees are the green lungs of our urban areas and planting them is a symbol of love for future generations to come. You may have seen that metallic colours like rose gold and copper are still on-trend. Metallic décor and plants with golden foliage or bright variegation is still very ‘in’ – and they create lightness and bright accents in pots or in a garden. Plant lots of dwarf Coprosma hybrids with their glowing foliage which will start intensifying as soon as it’s a little cooler. The foliage of a star jasmine called ‘Summer Sunset’ is coppery and gold, and the beautiful new cordyline varieties like ‘Electric Pink’ and ‘Electric Star’ are very ‘in’ too. 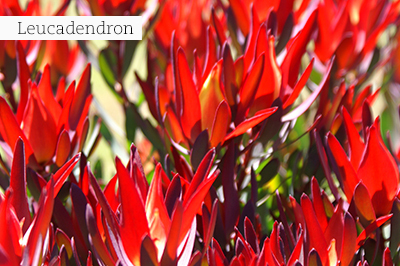 Another glowing specimen to plant, is home grown Leucadendron ‘Red Devil’. All of these are great hardy plants! March is too early for the traditional winter annuals, but a perfect time to plant the hardy and adaptable verbenas, lobelias, alyssums, dianthus and petunias (albeit only in summer rainfall areas). They will enjoy the last heat of summer, as well as cooler weather when autumn really arrives. Hot tip: Visit GCA garden centres on Fridays or Saturdays for the best and widest choice of seedlings as they usually receive fresh stock just before the weekend. 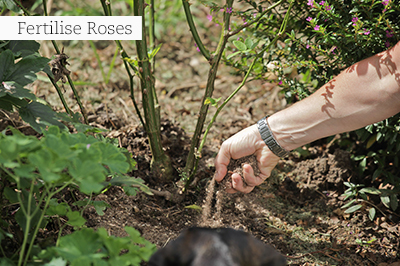 Build healthy leaves by fertilising with a rose specific fertiliser this month. With lots of leaves, the process of photosynthesis remains in full swing, strengthening the plants’ stems for fast spring sprouting, and also to enable it to flower magnificently on new stems well into winter. It is trendy to go for smart, large containers filled with pretty fruit trees like a calamondin orange, lemon tree, lime tree, or kumquat. Potted citrus trees can give you a harvest of fruit throughout winter. Finish off your potted fruit tree orchard with pretty companion plants like curled parsley, nasturtiums and dwarf marigolds. 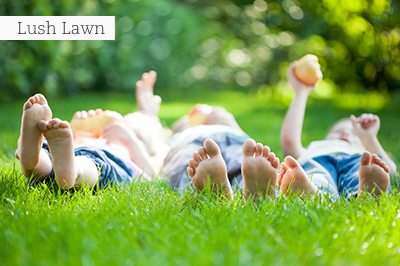 If you want a lawn that stays green for 365 days of the year, think out of the box – a box of lawn seed! 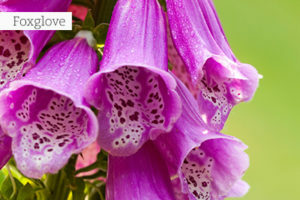 Choose a cold-hardy lawn variety, which tolerates sun to light shade, or one which will cover bald spots in deep shade. These lawn seeds are not only handy to start a new lawn, but can also be used to overseed old, motley lawns that go dormant. The two grass types are compatible and blend seamlessly into each other. Germination is as speedy as between 5–10 days, and if all goes according to plan, you can achieve reasonable coverage within 8 weeks, provided there is no foot traffic over it. Seed your grass today! The idea behind this trend for 2018 is communities of plants which ‘network’ together, so natural prairie gardens with swathes of ornamental grasses and floriferous perennials are hot news! If you are still planting ‘one of a kind’, leaving large areas of soil unplanted, you will be creating a lot of maintenance for yourself. Rather pick a limited palette of adaptable plants, and send them to ground in numbers! Recommended grasses: Fabulous fountain grasses include Pennisetum ‘Fireworks’, ‘Rubrum’ and ‘Vertigo’, pink muhly grass, Miscanthus sinensis ‘Zebrinus’ (Zebra grass), Carex ‘Frosted Curls’, Coman’s ‘Khaki’, Festuca ‘Silver Eye catch’ and also the pretty indigenous restios like Elegia tectorum (Cape thatching reed). Long-flowering; acanthus, campanula, centranthus, diascia, gaura, Japanese anemone, kangaroo paw, nepeta, rudbeckia and echinacea. Drought resistant; armeria, artemisia, bergenia, felicia, eryngium, salvia and penstemon. Evergreen; ajuga, dierama, hellebore, heuchera, kniphofia, liriope and ophiopogon. Windy and coastal gardens; indigenous forget-me-not, geranium, stachys, limonium, lychnis, pelargonium, agapanthus, centaurea, crocosmia, dietes, and salvias. Note: Most of these will grow everywhere and in any region. If you have any concerns or need some advice, ask your local GCA garden centre. 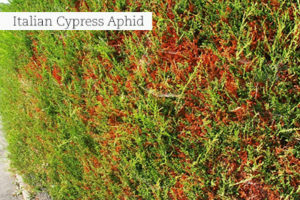 Italian cypress aphid – start treating conifers against this pest with a systemic insecticide as a spray or soil drench. Ants – spray with contact insecticide for up to 3 months’ protection, or apply granular ant bait to eradicate the nest (the bait will be carried to the nest). Termites – apply a systemic insecticide to control wood destroying termites or use a granular bait for harvester termites. Chives and garlic chives – grow in sun or partial shade. They also grow well in window boxes indoors, provided there is enough light. Coriander – grows in light shade or indoors on a window sill. Calendula – healing herb with pretty, edible flowers. Grow in full sun. Rocket – the peppery leaves are rich in iron, chlorophyll and various vitamins. Grow outside in a sunny spot and even try it indoors on a sunny window sill. Be an early bird and start buying spring-flowering bulbs which are available in variety now, before they sell out. It’s still too early to plant them as the soil temperature needs to cool down some more. Buy a specialised micro-element mixture to treat azaleas and gardenias that may be turning yellow and which need a pep up. Stock up on acidic fertiliser and acidic mulch (bark nuggets or chips) to feed azaleas, camellias, brunfelsias and gardenias before winter. Sow sweet peas, poppies, primula, foxgloves, hollyhocks and larkspur. Follow the instructions on the seed packet closely. Dig and prepare planting holes for new deciduous fruit trees – fresh stock will be available in nurseries soon. If you notice that water is simply running off the surface, leaving the soil beneath bone dry, you need to add a soil conditioner – enquire at your nearest GCA nursery. These products help change the structure of the soil to allow water to soak in. Sandy or compacted soil is particularly vulnerable. Follow up by improving the soil further with layers of organic matter laid on top. 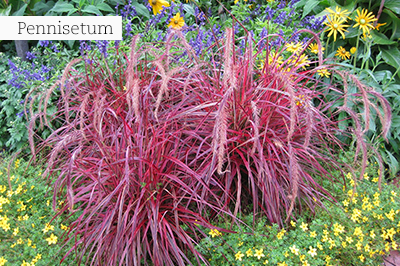 Feed all shrubs and the lawn with a potassium-rich fertiliser to strengthen the cells and stems before winter comes. If your summer veggie patch has not produced well, and you can use enough water to irrigate regularly for a short while, dig up spent veggies and sow green manure crops in beds which will be left empty in winter, like mustard, buckwheat, clover, linseed, lupines, lucerne and borage. When flowering (they are pretty! ), dig them into the soil. They improve the soil structure (for better water retention) and increase the fertility of it for the next round of summer crops. Before the cold sets in and the job becomes uncomfortable, clean out your water features. Check that your pump is clean and in good condition. Sow California poppies, cornflowers, godetias, bokbaaivygies and Namaqualand daisies in situ. Cut back spent heliconia and cannas, and cover root areas with a mulch of compost, or well-rotted kraal manure. 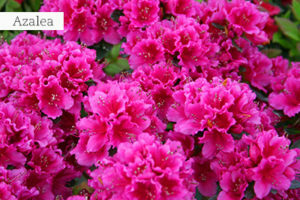 Be kind to camellias and azaleas, with ample and deep watering in dry spells or they will drop their buds. Sow lettuces, Asian greens, radishes, Swiss chard, peas, all the cabbage types, carrots and beetroot. If you do not have a dedicated veggie patch, you can grow most of the above squeezed in anywhere, or in containers. Start preparing a bed for strawberries by digging in well-rotted kraal manure, compost, a dusting of flowers of Sulphur (they like acidity) and general fertiliser. Strawberries can also be grown successfully in containers and hanging baskets – use a good quality potting soil. Waste not want not, so harvest crops like basil and coriander, and process into pesto for the winter season. Plant wild dagga (Leonotis leonurus) as it is a fast and easy-growing shrub that flowers profusely and attracts wildlife to the garden such as birds, bees and butterflies. 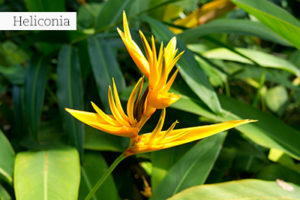 The flowers are tubular and bright orange in colour; however there are white and salmon coloured ones available too.